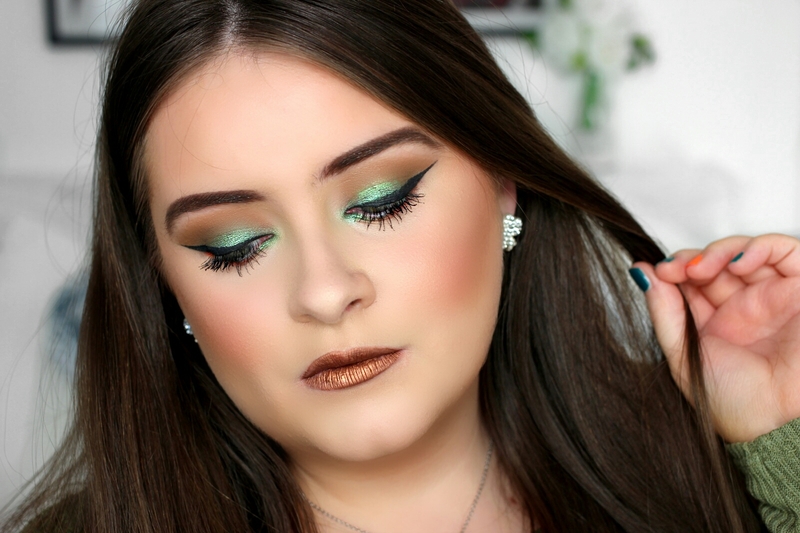 So it's been a little while since I posted a makeup look on my blog but I'm here with a beautiful, bold and bright look inspired by St. Patrick's Day. If you follow my YouTube channel (here) then you will have probably seen this look already, however, I want to share it on my blog too. I also want to start posting a lot more makeup looks on my blog (aiming for at least one a week) so keep an eye out for more coming very soon! Okay enough with the chit chat and lets talk about this makeup look. As I said this was inspired by St. Patrick's Day but it's also a great look for this Spring / Summer season! Shades such as green and orange can be quite daunting because they are colourful shades and can really make a statement on the eyes. I personally don't reach for these shades on a day to day basis, I go for more subtle shades such as: mauve, cranberry, brown and taupe. However, as I said this is a very bold and colourful makeup look that will be perfect for a festival or carnival during Spring/Summer. I love how this look came together and how easy it was to create so, I've put together a video tutorial showing you how to achieve the complete look. I use a bunch of affordable branded eyeshadows (Makeup Geek, Sleek & Makeup Revolution) for the eye portion. I then used a mix of high-end (not too many) and drugstore products for the rest of the look. 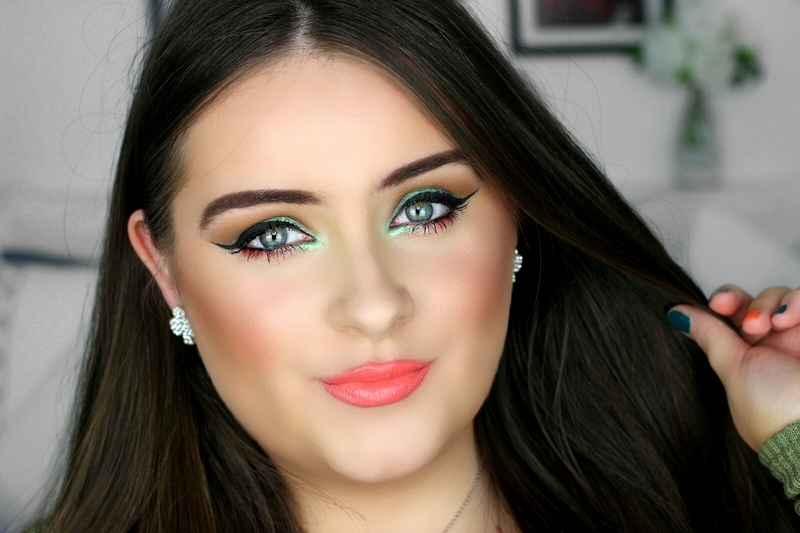 I have two different lip options for you which both suit the eye look perfectly. 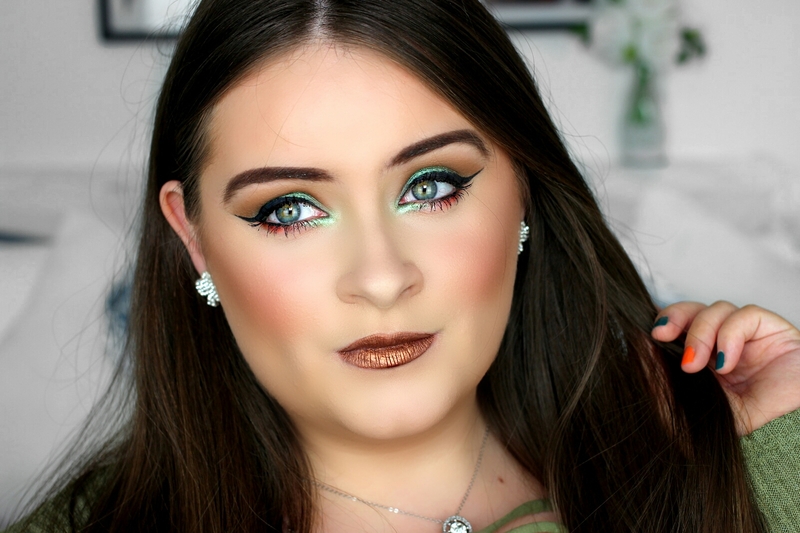 All the products I used to create this look are listed below as well in the description box for the YouTube video. Anyway, I really hope you like this look and maybe recreate it yourself. Remember if you try out or recreate anything I've done then you can tag me in your posts or hashtag #jodiecaughey so I can have a nosey. 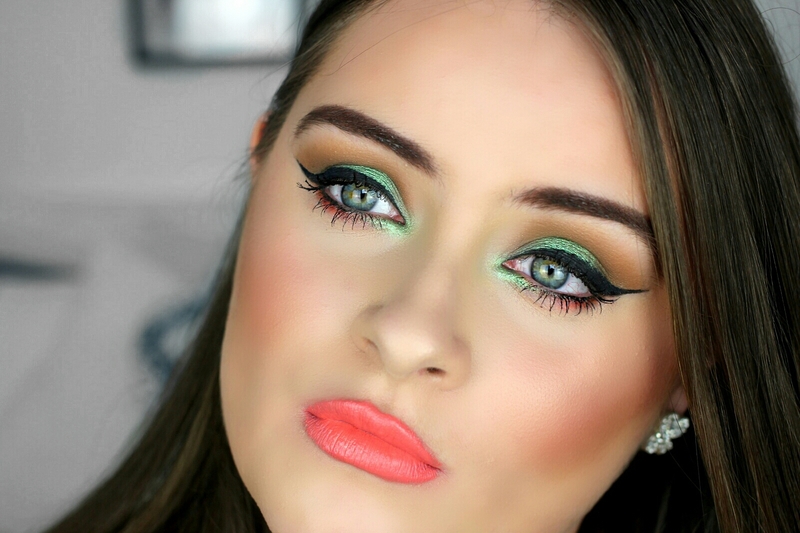 Below is my video tutorial on this green eye makeup look inspired by St. Patrick's Day.